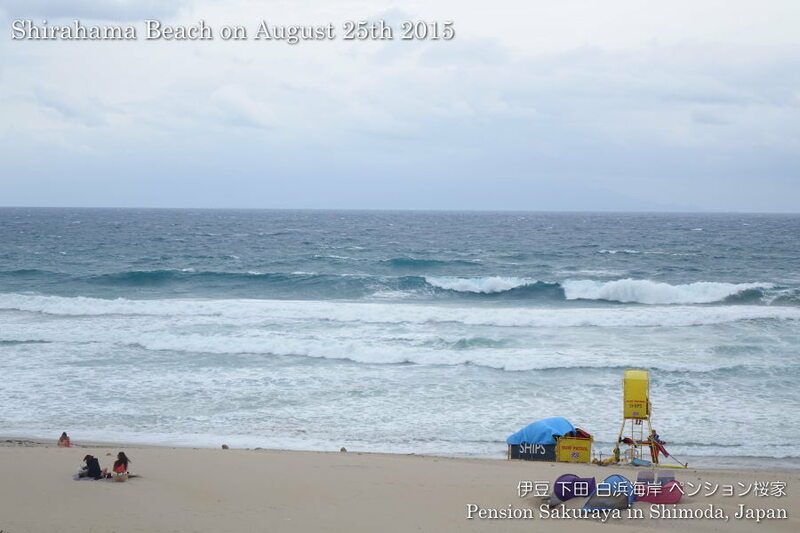 The strong north wind has gone down at last after several days. This entry was posted in 未分類 on 2015年8月30日 by izusakuraya. 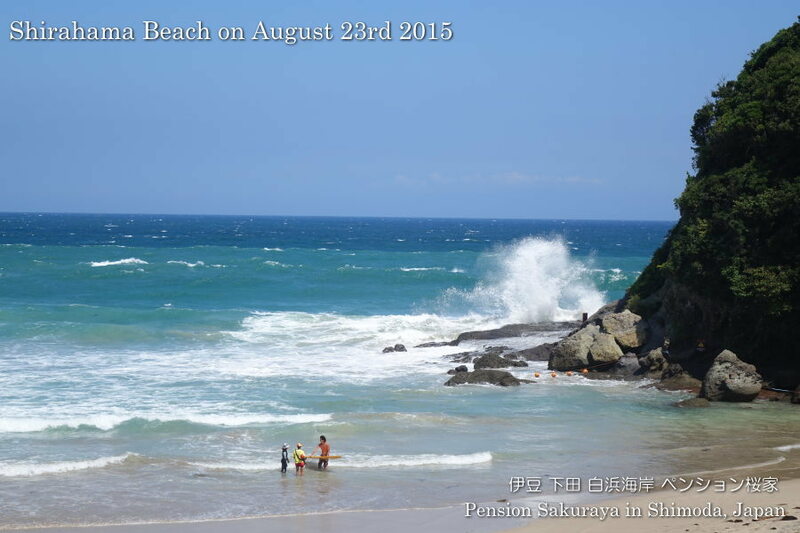 We still had strong north wind here in Shirahama today. It was sunny but the sea condition was not good for swimming…. 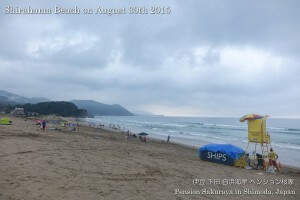 This entry was posted in 未分類 on 2015年8月27日 by izusakuraya. We had very strong north wind in Shirahama, and it was rough sea by typhoon today. 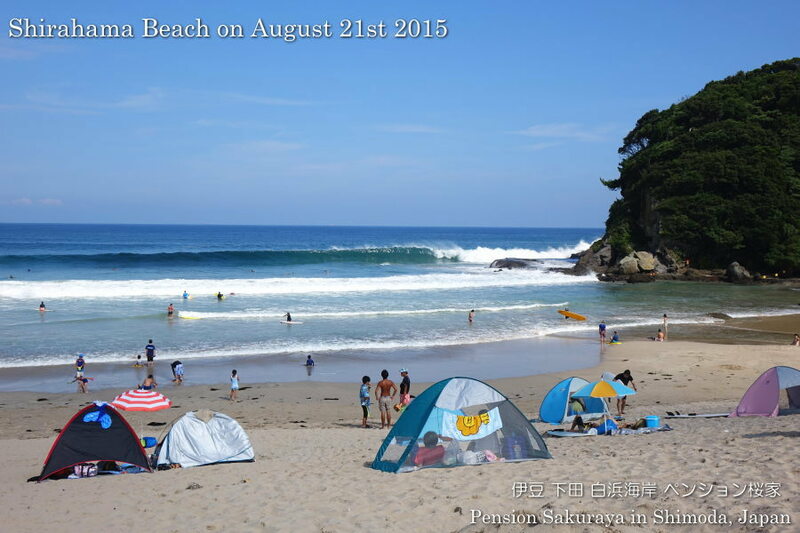 We usually don’t have such a sea condition in August. 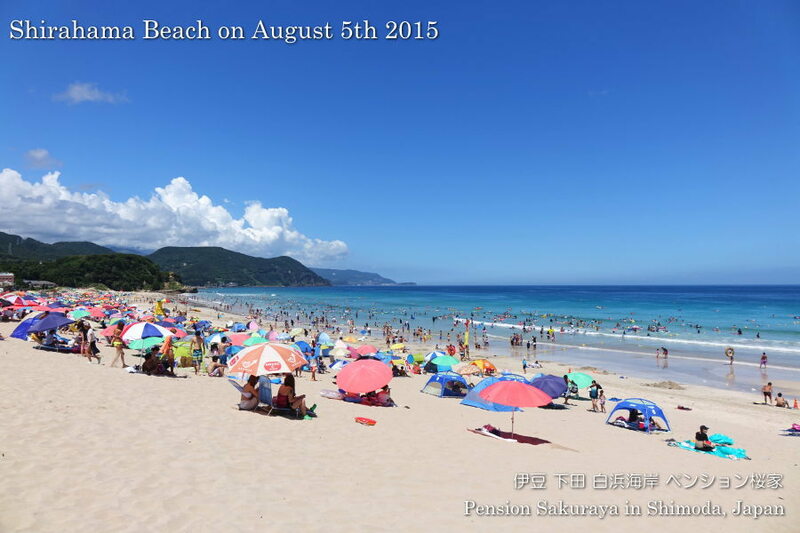 This entry was posted in 未分類 on 2015年8月25日 by izusakuraya. 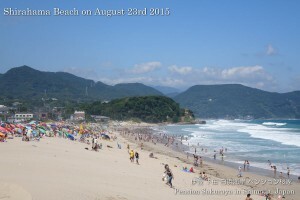 These are pictures which I took on the nearest beach this afternoon. 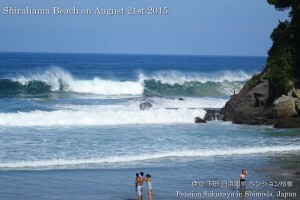 We have strong north wind and big waves as well. 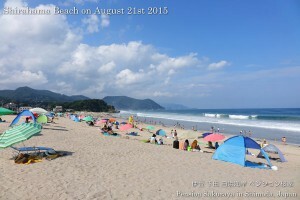 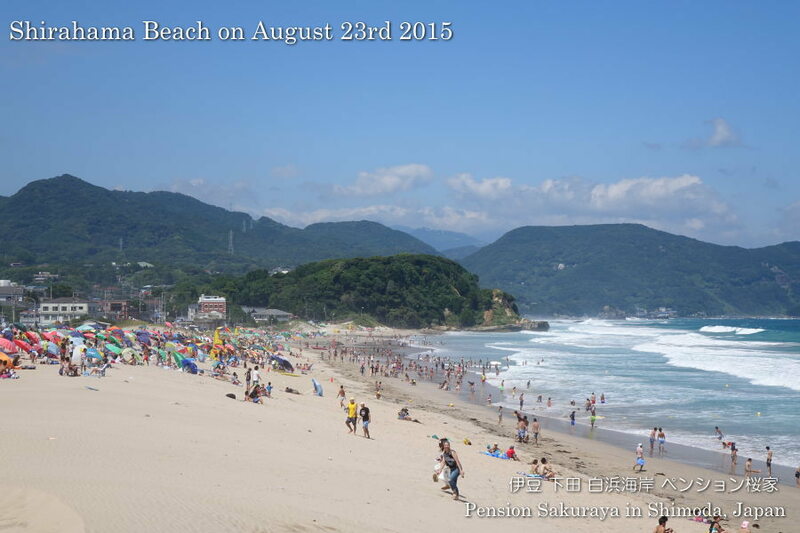 This entry was posted in beach on 2015年8月23日 by izusakuraya. 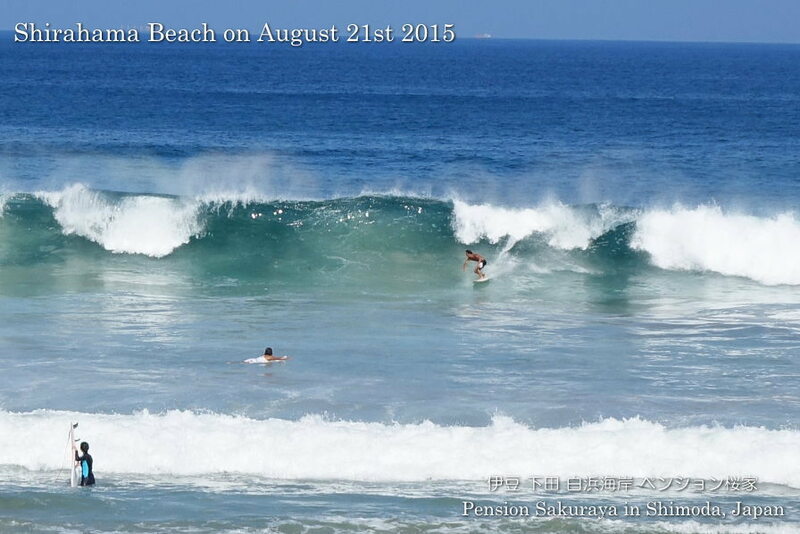 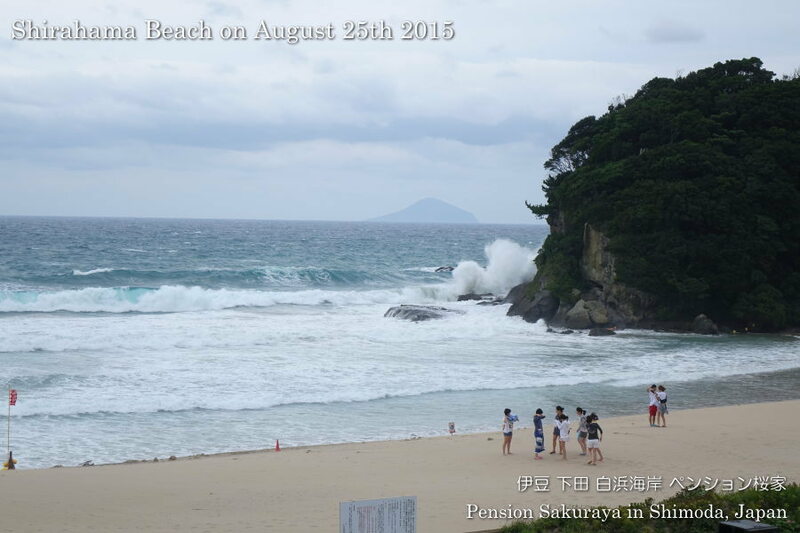 2015/08/21 Shirahama Beach had big waves today! Swimming was prohibited because of big waves by typhoon #16 at 7 of 9 beaches in Shimoda city, including Shirahama Beach today. 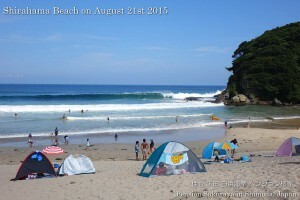 This entry was posted in beach, 未分類 on 2015年8月21日 by izusakuraya. There were a lot of people on the beach, we sometimes had rain though. 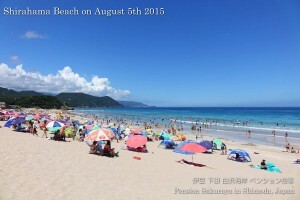 This entry was posted in 未分類 on 2015年8月18日 by izusakuraya. 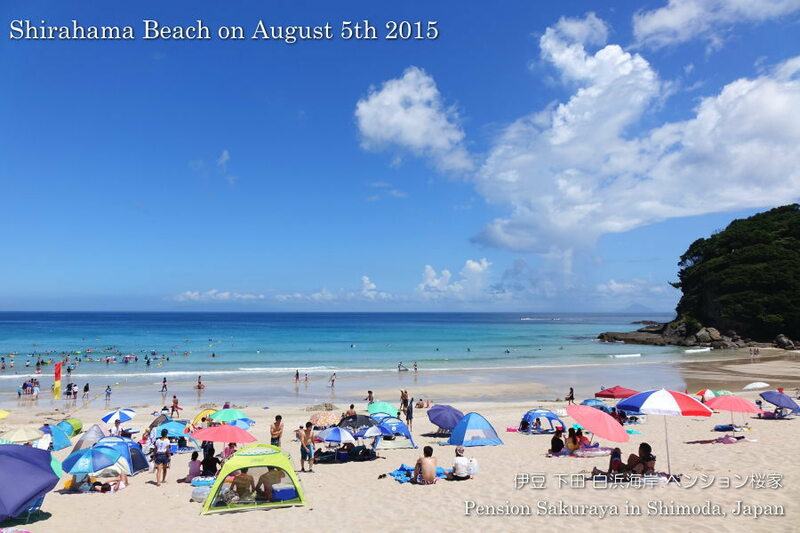 It was the busiest day in the year in Shirahama today. 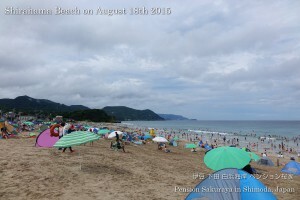 This entry was posted in beach on 2015年8月13日 by izusakuraya. 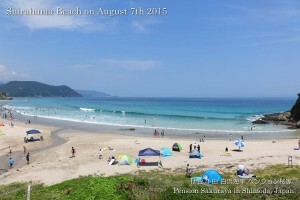 It was beautiful again today. 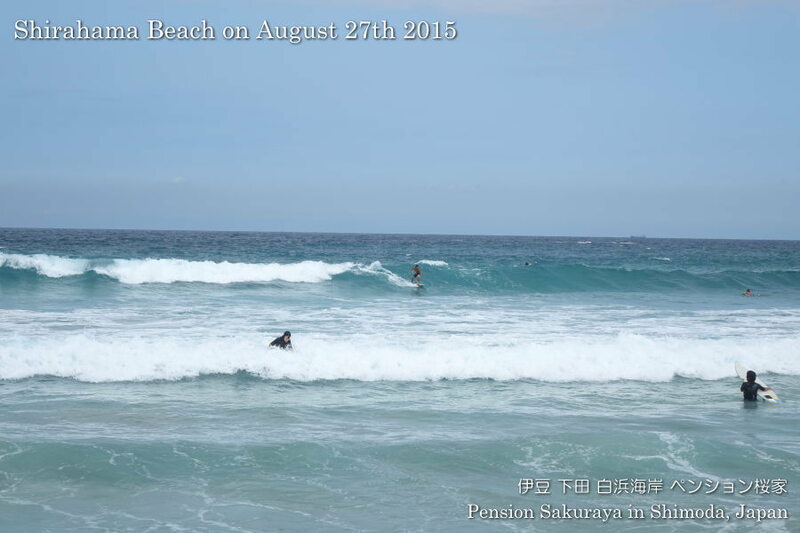 They had a little big waves by the typhoon passing by Okinawa. This entry was posted in beach on 2015年8月7日 by izusakuraya. 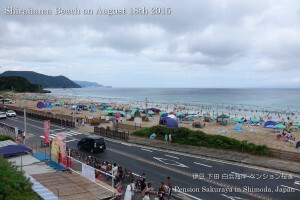 It had been sunny and very hot since this morning. 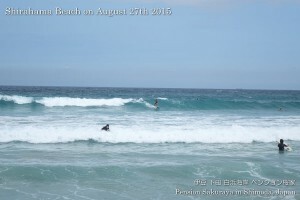 When I went to Shimoda for shopping I went to the beach. 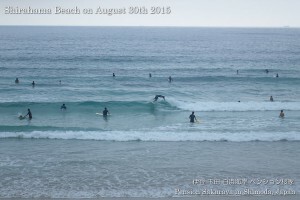 I was really excited to take pictures. 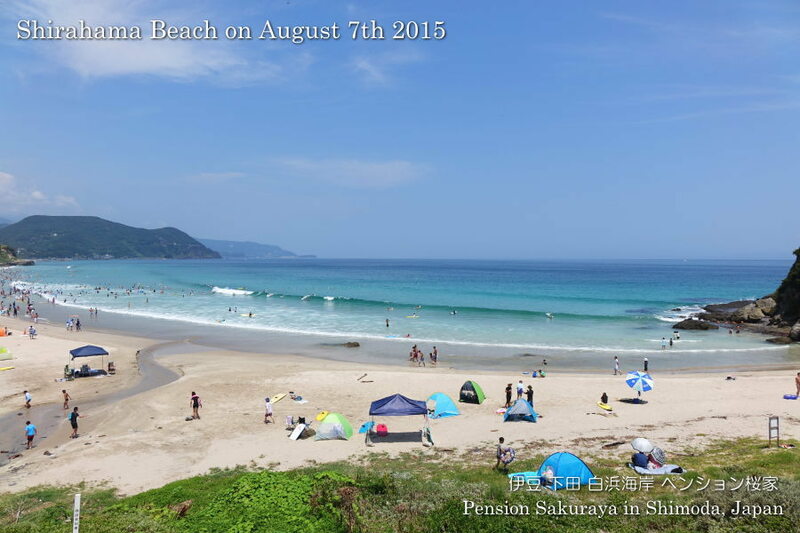 We don’t have many times to see such a beautiful beach under the clear blue sky in summer! 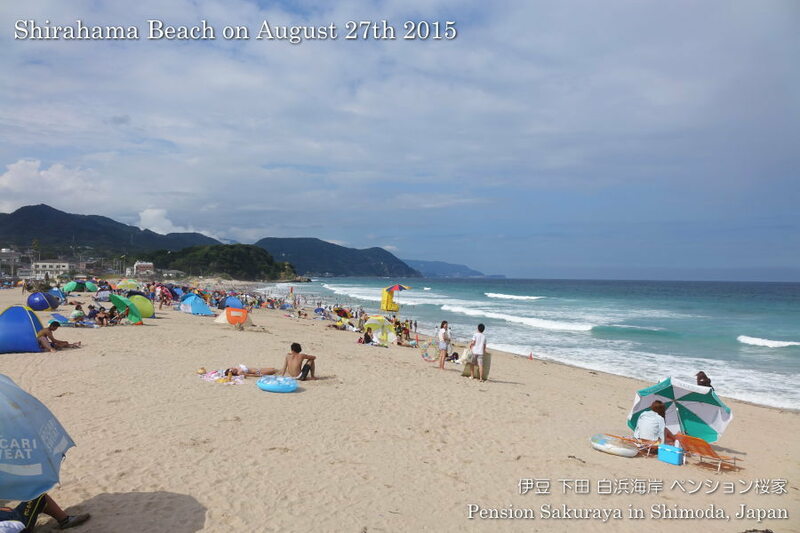 The visitors came to Shimoda today were lucky! 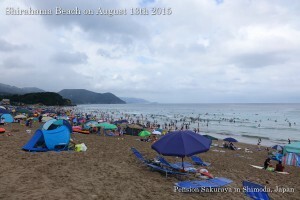 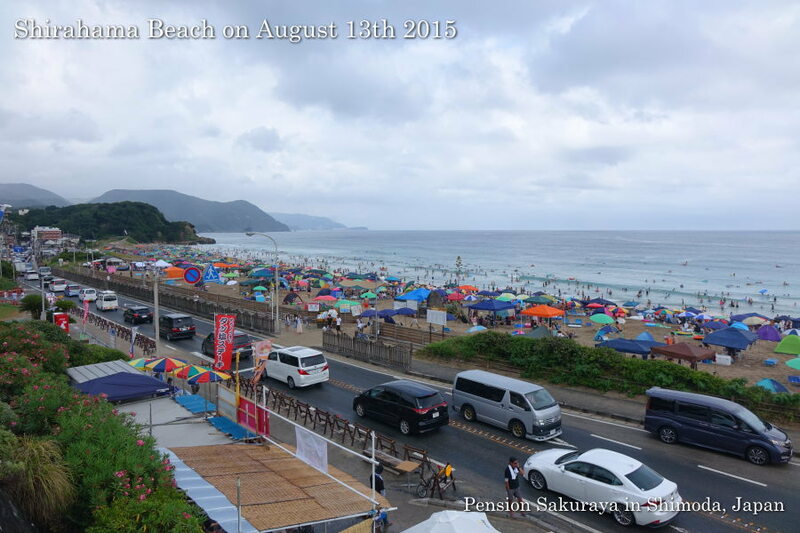 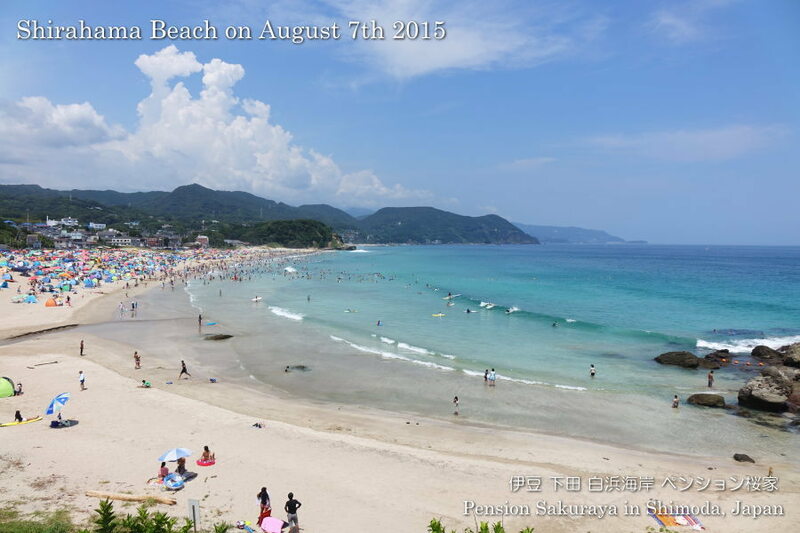 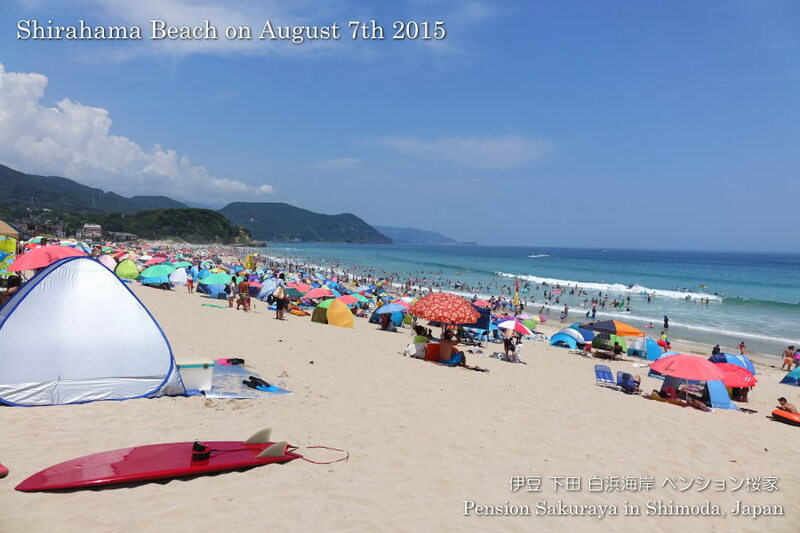 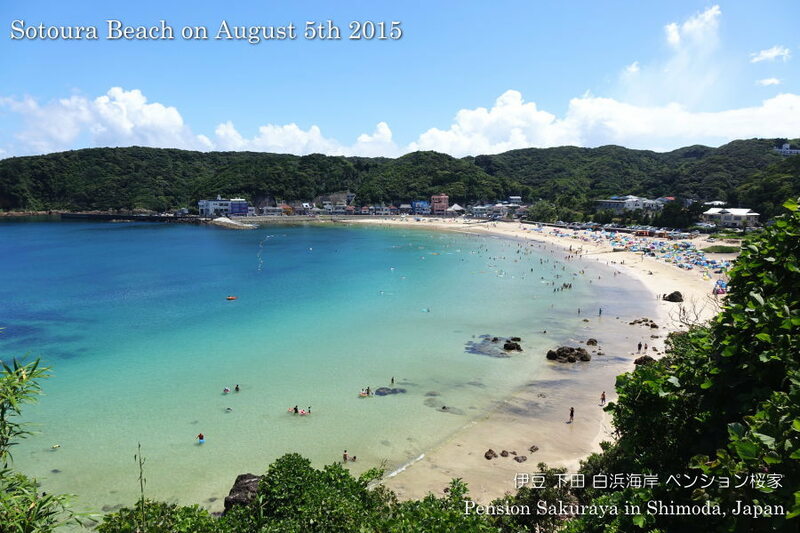 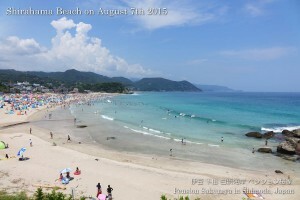 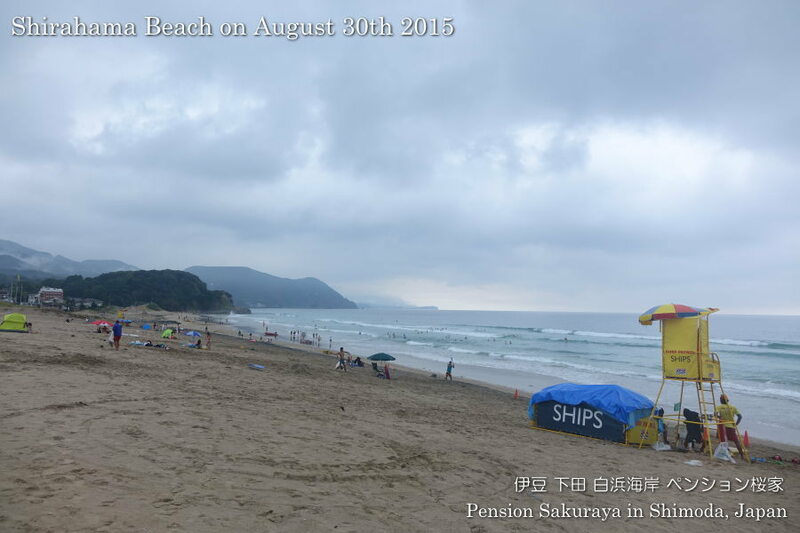 This entry was posted in beach on 2015年8月5日 by izusakuraya.